Will be priced between Rs 10.0-Rs 16.0 lakh. Kia, which is currently in the process of setting up its manufacturing facility in Andhra Pradesh, has revealed more details of its first-ever product for India - a compact SUV based on the SP Concept that was showcased at the 2018 Auto Expo. 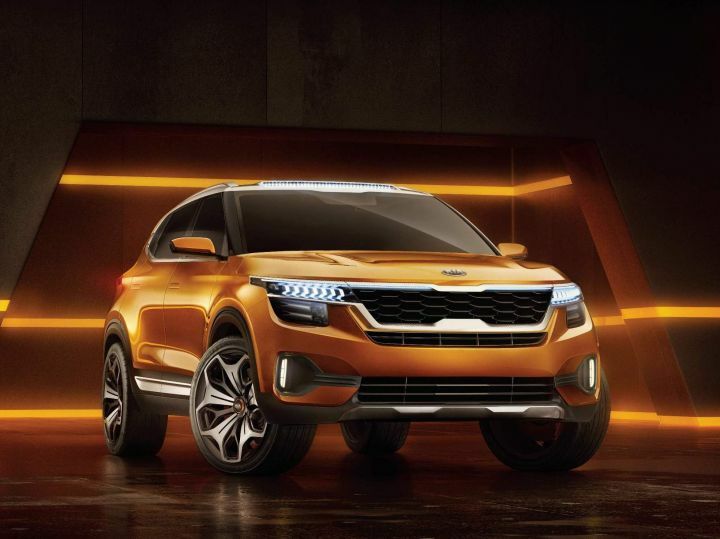 Although Kia hasn’t finalised the name of the SUV yet, we think it’ll be called the Trazor or the Tusker based on an online poll created by the South Korean carmaker. However, the company has now revealed more details of the compact SUV which will take on its cousin, the Hyundai Creta, as well as the Maruti Suzuki S-Cross and the Renault Duster. And since Kia is trying to price it quite aggressively, the SUV could be priced between Rs 10.0-Rs 16.0 lakh. Kia will begin manufacturing the SUV at its new plant by mid-2019 and are positive about launching it by September 2019, just ahead of Diwali. The SP2i is likely to be powered by the Creta’s engines, namely the 1.6-litre petrol and diesel motors. In the Creta, the petrol engine produces 123PS of power and 151Nm of torque while the diesel motor churns out 128PS and 260Nm. However, the SP2i could run a slightly different tune to better suit the dynamics of the SUV. And considering the fact that cars with diesel-auto powertrains have been finding favour with the masses, we expect Kia to offer this combo with the SP Concept-based SUV as well. Kia has also stated that it is considering the feasibility of using BSVI-compliant engines on the SP2i. Kia could choose to bring in a plug-in hybrid variant as well but at a later stage. Expect more details to follow soon. Earlier this year, we got a glimpse of the SP2i undergoing tests in the country. Although the spy shots suggest that the SUV has retained most of the key design elements from the SP Concept, it has lost a bit of muscle that made the concept so appealing at the Auto Expo. Inside, the SP2i will have a long list of features, including a touchscreen infotainment system, automatic climate control, automatic headlamps/wipers, power adjustable seats and remote keyless entry. The Kia SP2i looks to be a strong contender in the compact SUV segment, which is set to heat up soon with the introduction of the Tata Harrier. If you were to pick between the two upcoming SUV, which one would it be: the Harrier or the SP Concept. Let us know in the comments below. Share your experiences with SP Concept?